Okay, I am going to go out on a limb and assume most of you have heard of Blue Apron. I had heard of them a few places before but had never tried it – there are so many like it these days it’s hard to know what works! 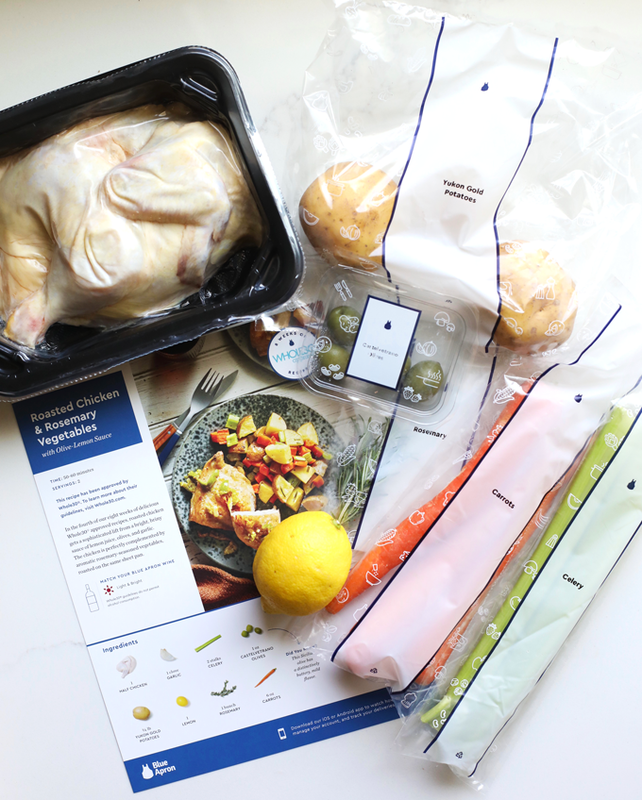 If you don’t know what Blue Apron is, it is basically just a subscription service where you can order meals for the week and all of the ingredients come pre-packaged to the correct measurements and an easy to follow recipe card that includes pictures. 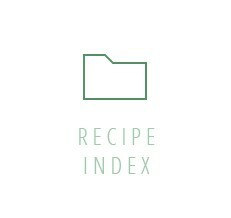 I think I had always assumed that these boxes weren’t going to be that easy because all it was helping with was shopping and measuring, but let me tell you these recipes are also super user friendly and so delicious! Although I used to LOVE grocery shopping more than anything, being pregnant has changed that a bit for me. Certain tasks when i’m exhausted, like grocery shopping and planning dinner, have seemed soooo much harder than usual! It’s resulted in a lot of random freezer dinners and going out to eat more than usual, so I was super excited to try Blue Apron and see what all the fuss was about! Best part? 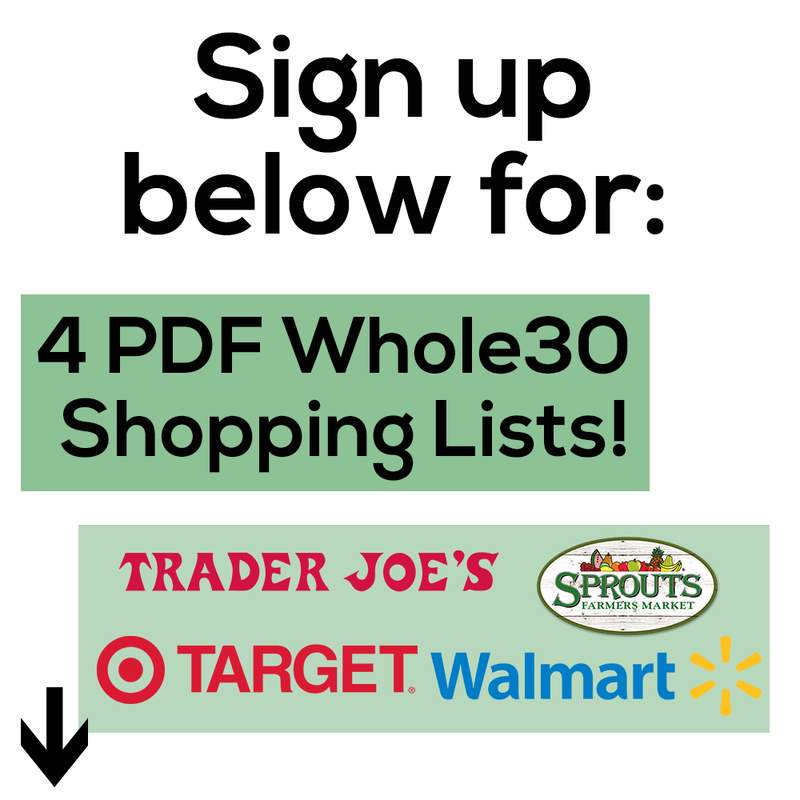 They have Whole30 Meal options now!! 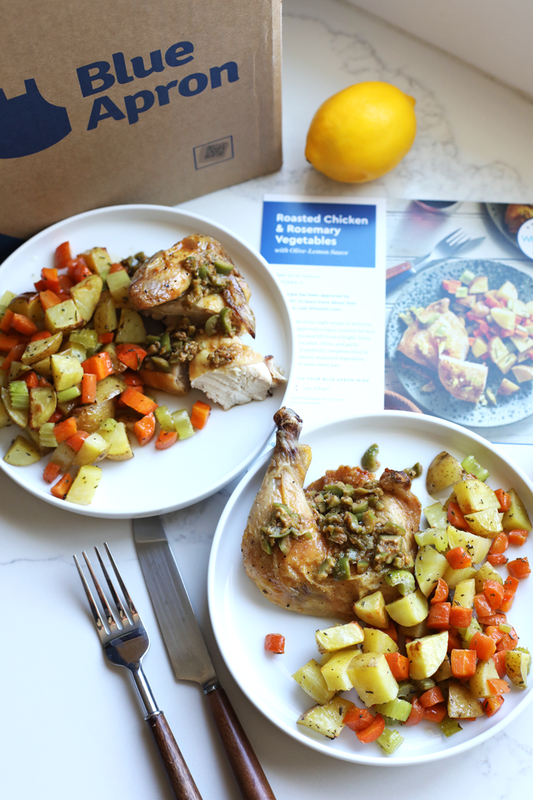 Through February they will have 2 new recipes a week available and the one I have tried so far was this Roasted Chicken and Rosemary Vegetables. Are you thinking, “are those few ingredients really going to make a delicious meal for 2?” Well yes in fact they do! It was a perfect sized meal for 2 – one of those two being a very hungry husband! The directions are written out so clearly and all you need to provide is some oil, salt and pepper. 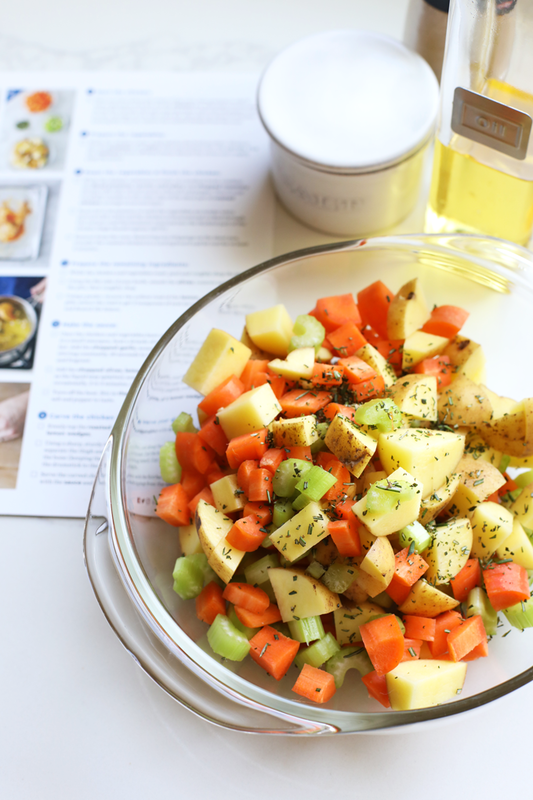 Roasting potatoes, carrots and celery alongside chicken is something I definitely need to do more often! 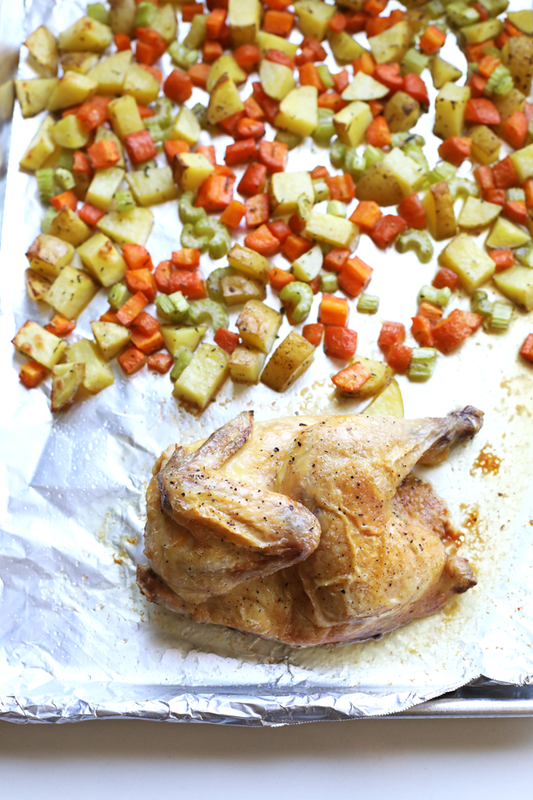 We love roasting full chickens around here so I loved that this half chicken came as one big piece – it makes for much juicer and flavorful final product! Finally there was a simple lemon, olive oil, garlic sauce I threw together on the stove top that coated the chicken and brought everything together! I honestly couldn’t believe how simple it was and how much brain power it saved me. We also made a non Whole30 meal from the box and it was soooo good! 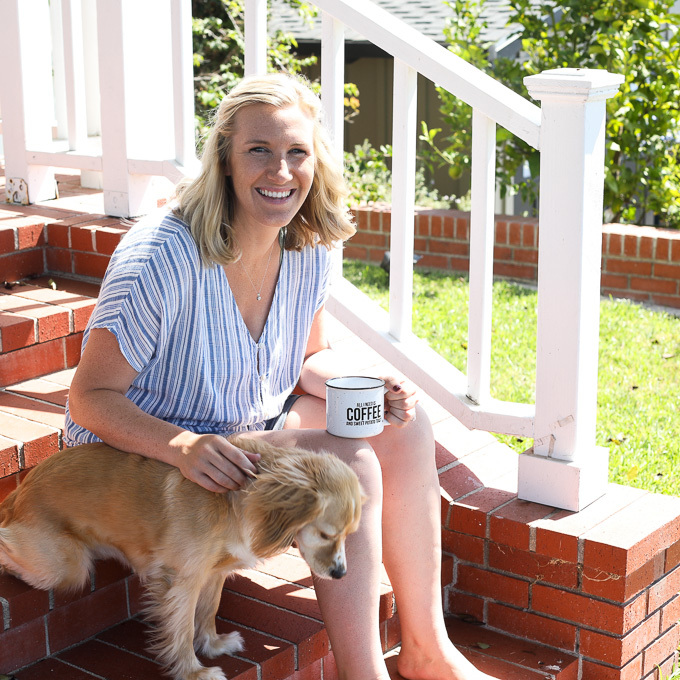 I can’t wait to try more of these in the future – I can only imagine how great they would be as a new mama! 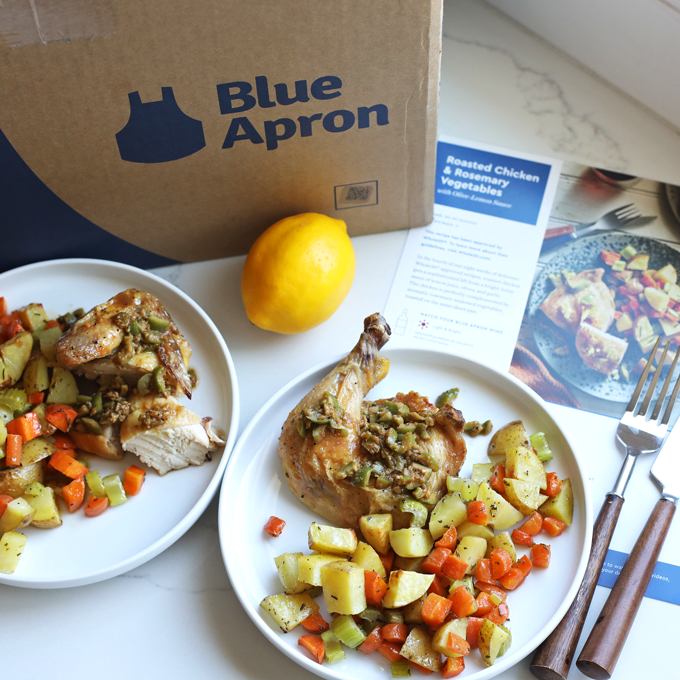 Want to try these Blue Apron meals? Click on the link below for 40$ off your first month!! This post was sponsored by Blue Apron but the views at 100% my own! 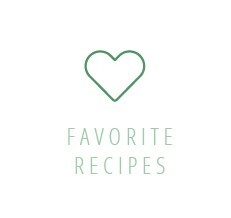 I’ve tried Blue Apron but my very favorite is Green Chef and Home Chef. I think I’ve tried almost all of them. For me living alone this is perfect.